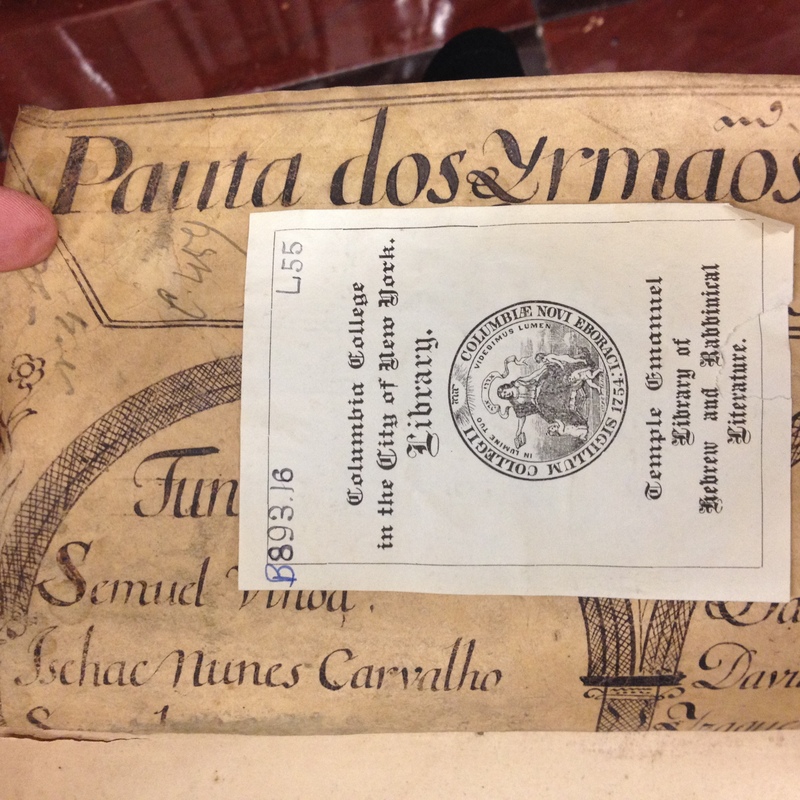 The advantage to working in a collection such as Columbia's, with its very deep and diverse resources, is that new and interesting materials pop up almost daily. 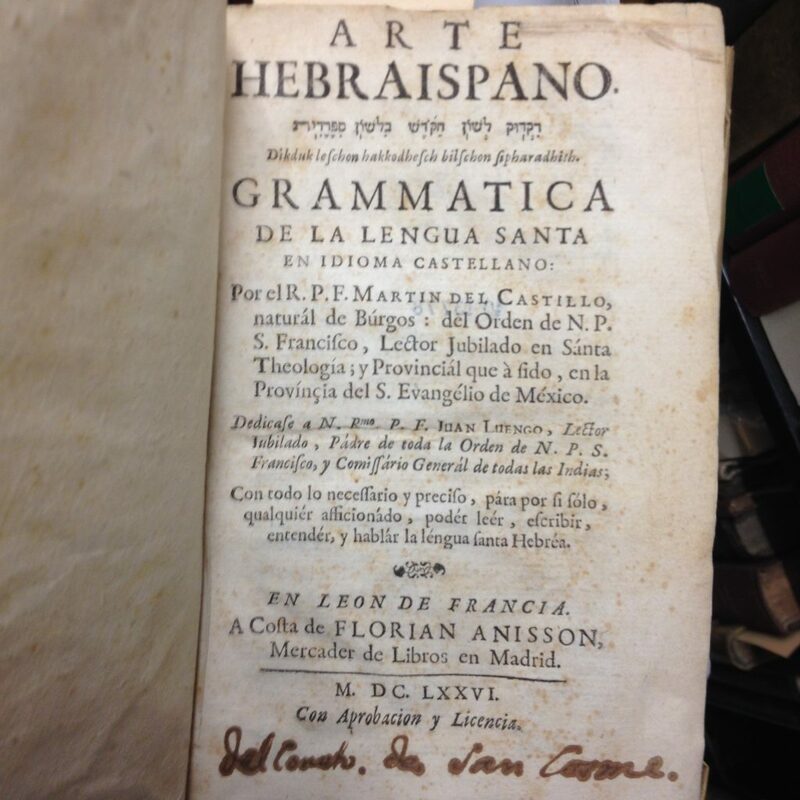 A couple of months ago, I received a phone call that someone wanted to come and look at our Spinoza autograph. 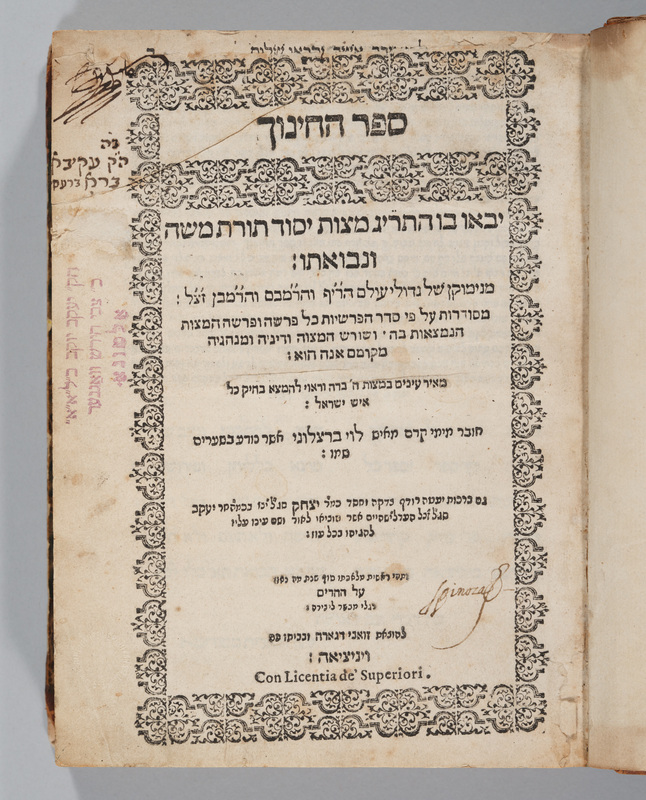 Columbia is home to the Oko-Gebhardt Spinoza collection, with nearly 4,000 volumes by and about Barukh/Benedict Spinoza. 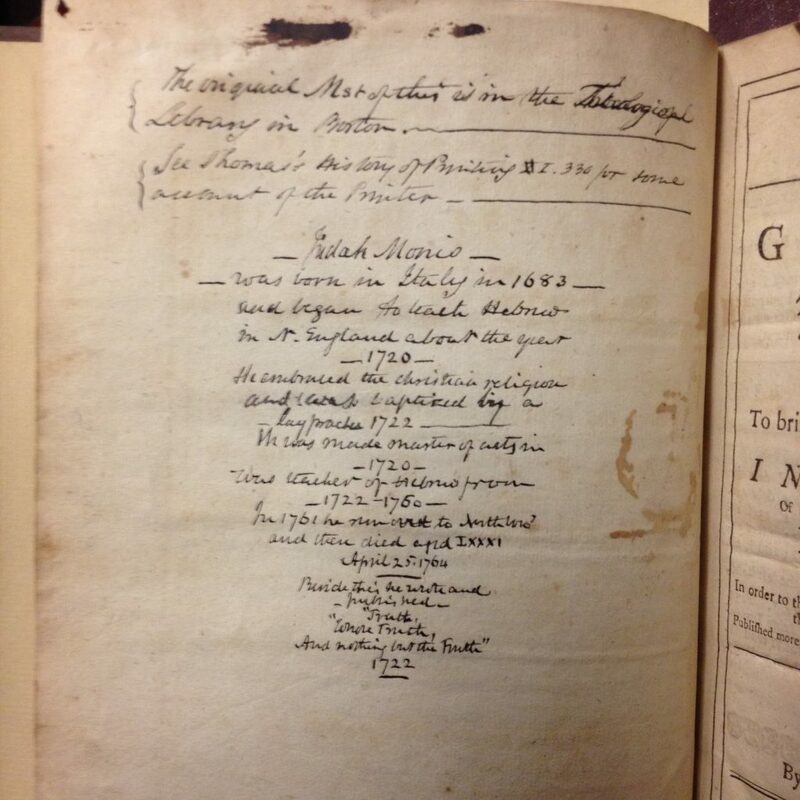 Until the phone call, however, I did not know that any autographs by the controversial philosopher himself were present in our collection. 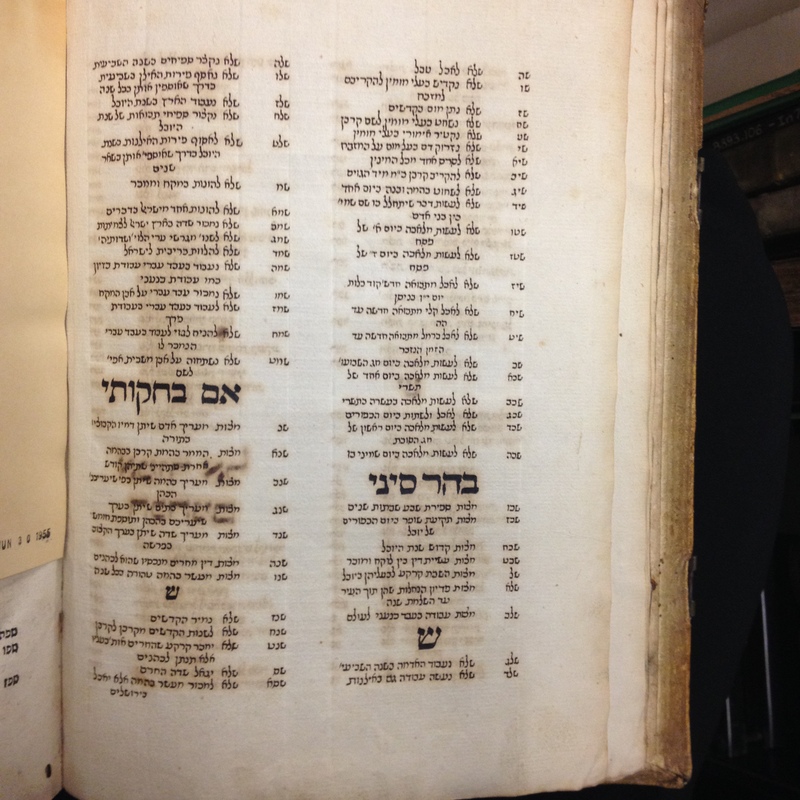 I hurried over to the Rare Book and Manuscript Library, where I saw the volume shown here. It seemed a bit strange, as the text, Sefer ha-hinukh, is a work about the commandments of Judaism, but I speculated that perhaps this was something he owned very early in life, perhaps even as a child. 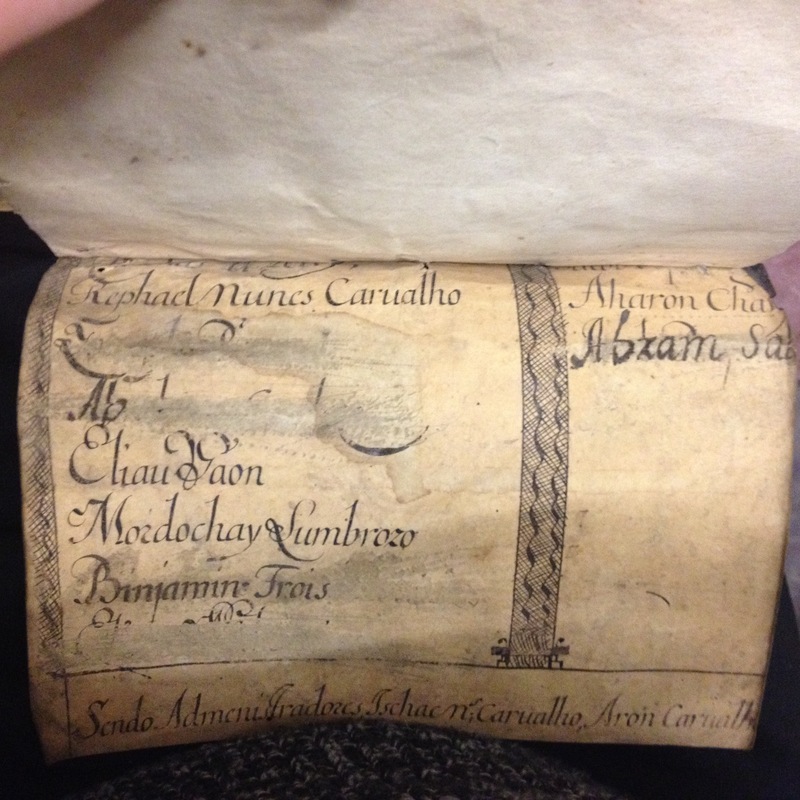 The signature shown here is actually in the hand of Raphael Jesurun de Spinoza, born around 1617, and also known as Bartholome Rodrigues Henriques. 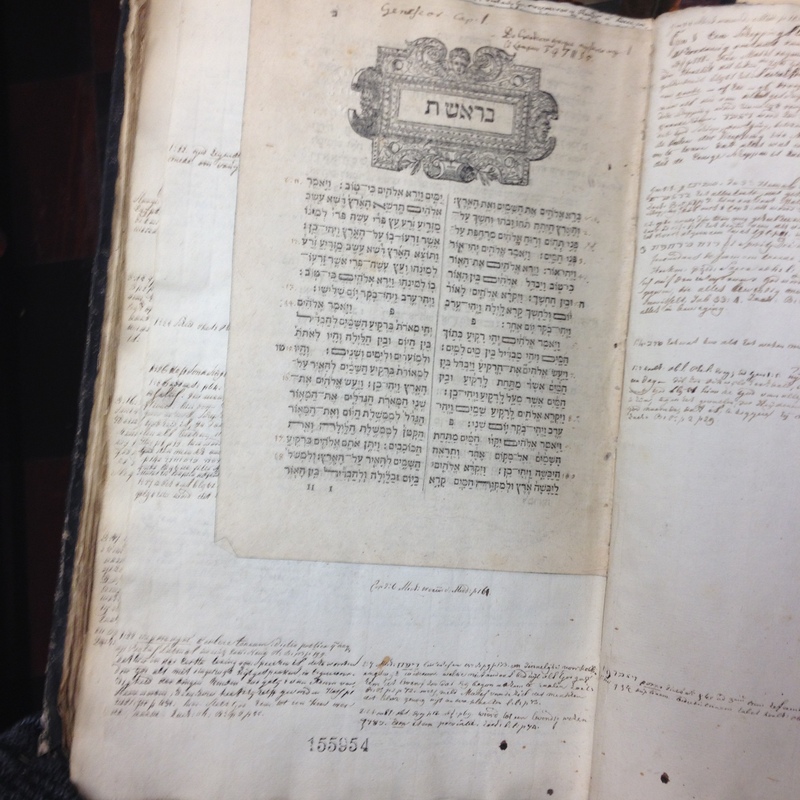 His name is mentioned in the Portuguese Community of Amsterdam's archives between 1657 and 1673. There are at least six known books that contain his signature, one of which, a Bible, caused a tremendous controversy in the 1950s, when a scholar published its manuscript notes assuming that it had belonged to Benedict Spinoza. 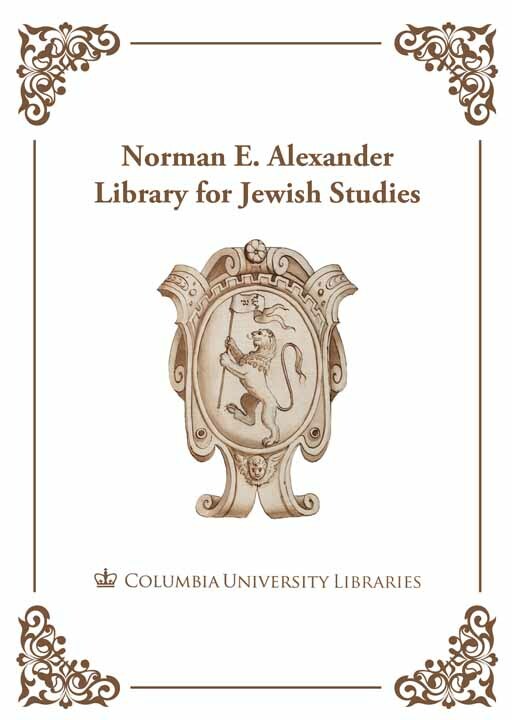 Dr. Leo Fuks, the librarian of the Bibliotheca Rosenthaliana at the time, published a very strong rebuttal in Dutch, in Amstelodamum (November 1959), which proved that the signature was not Benedict's. No doubt Raphael Jesurun de Spinoza was an interesting figure as well, even if he wasn't the philosopher that I had hoped he would be. 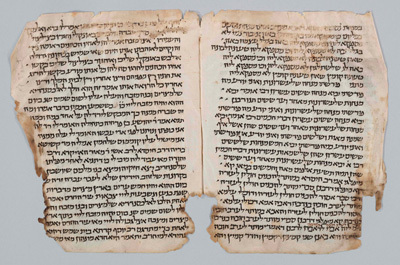 Through him I learned a fascinating story about scholars and scholarship, and of the importance of thoroughly researching a topic before jumping to any conclusions. Many thanks to Professor Offenberg for his help in demystifying this enigma. 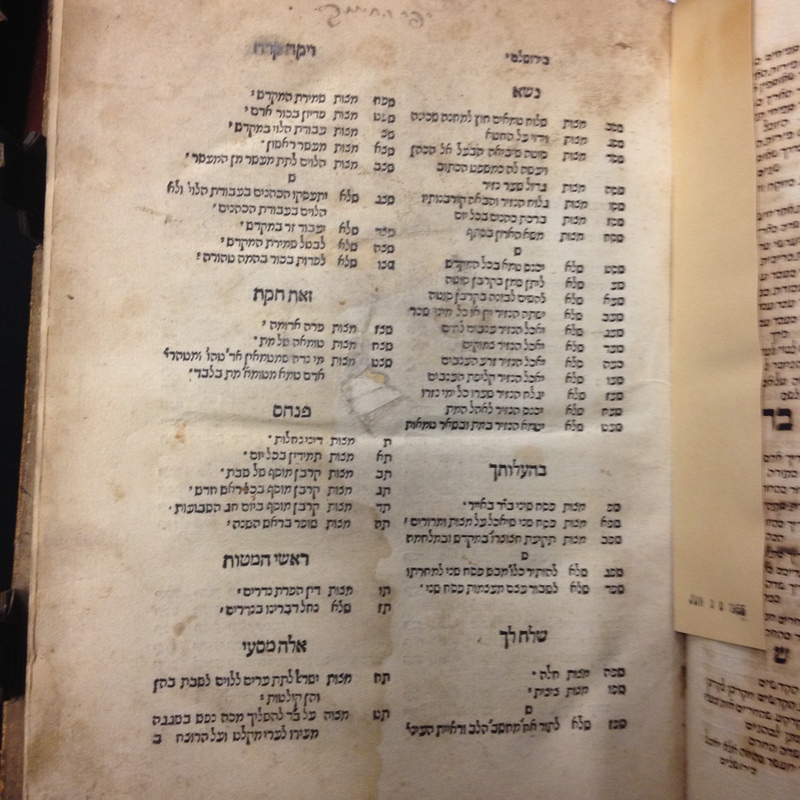 This entry was posted in Uncategorized and tagged Amsterdam, Hebrew_mss@cul, manuscripts, Rare_Books, Spinoza on April 30, 2012 by Michelle. 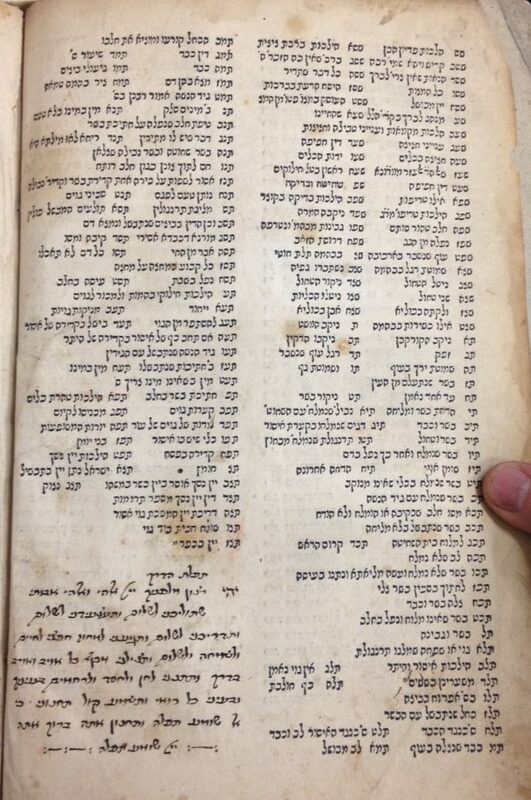 The manuscripts relating to Jewish Studies in the Columbia University Libraries are not limited to those in Hebrew. This manuscript, written in Spanish in the 17th century, describes one of the far-flung communities of the Jewish diaspora: that of Cochin, India. 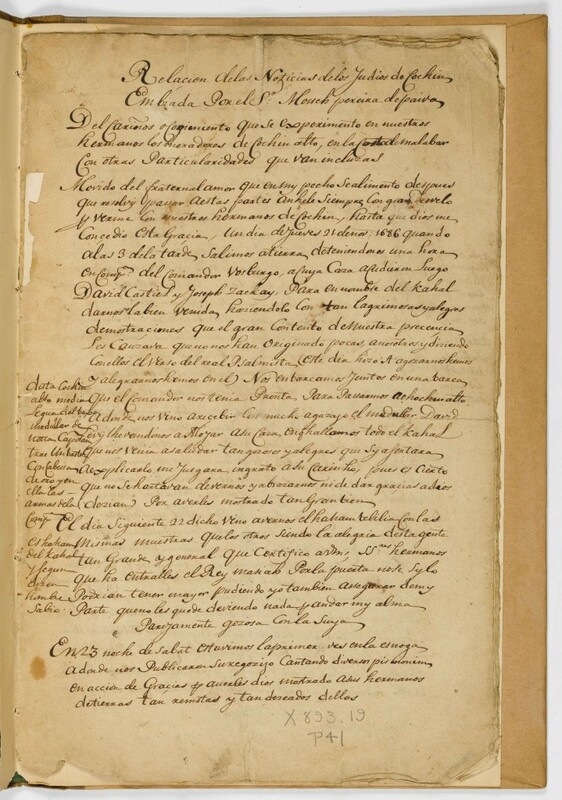 The author of the manuscript, Moses Pereyra de Paiva, traveled to Cochin with his friends, and wrote the story of his travels in this book, called Relacion delas noticias delos Judios de Cochin. 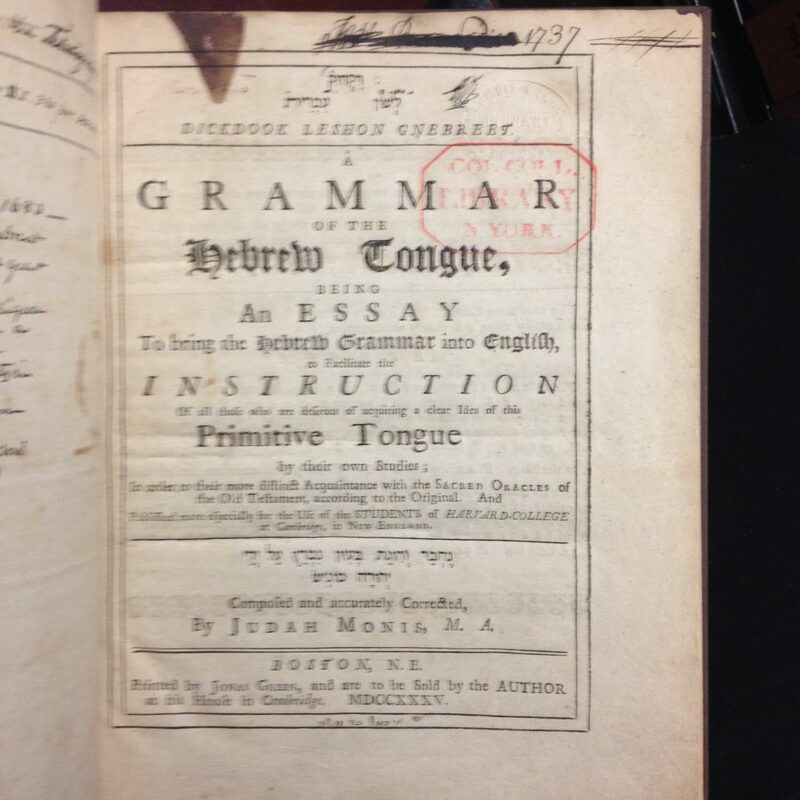 The printed edition first appeared, in Portuguese, in the city of Amsterdam, in 1687, followed by a Spanish translation. Image photography by Ardon Bar Hama. 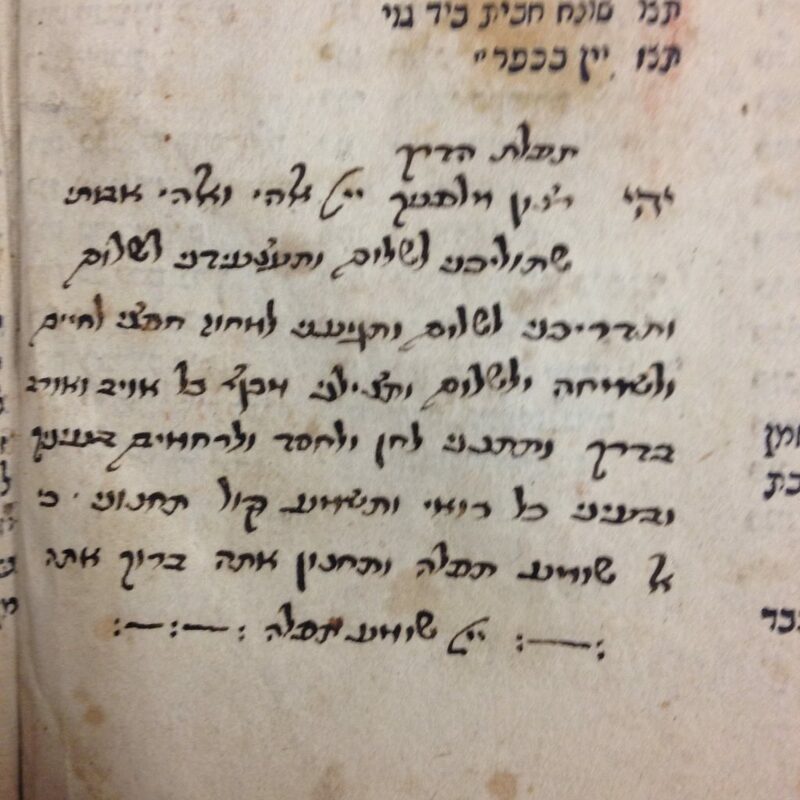 Update: Due to discussion in the comments, I have added an image from MS Plimpton Hebrew 004, a manuscript which describes the Jews of Cochin in Hebrew, below. 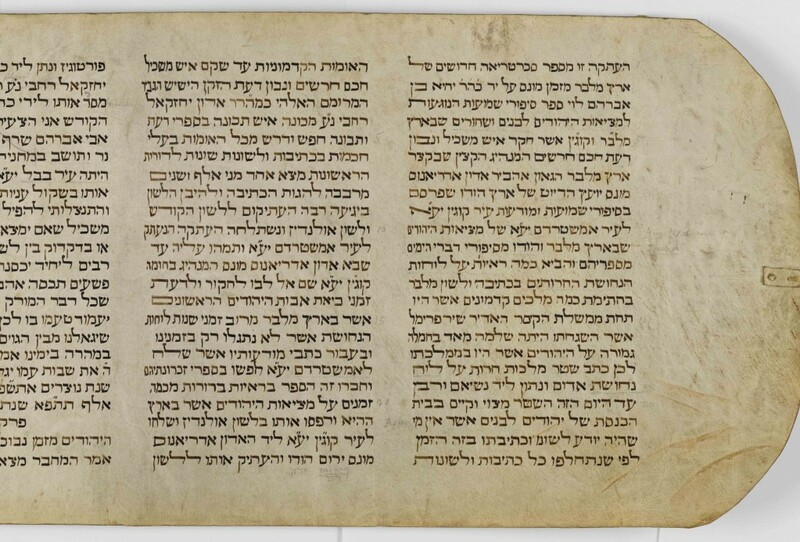 This entry was posted in Uncategorized and tagged Amsterdam, Bitton_Yoram, Hebrew_mss@cul, India, manuscripts, RBML on July 5, 2011 by Michelle.